Atchison-Holt EMT Keaton Shaw radios to dispatch that his ambulance is on the scene. They only make a few runs a day but the district keeps two ambulances staffed with two-person crews, 24 hours a day. “We have a lot of time where the crew is sitting around,” district Chief Gene Bradley said, “but we’re still paying them. It’s just the cost of being prepared, Bradley said. That's what it takes to be able to respond quickly to an emergency in these rural counties including accidents along 65 miles of interstate. Their average response time to a scene is about 12 minutes. “For the area we cover, that’s really pretty excellent,” said Bradley, who is also president of the Missouri Ambulance Association. But a little-known stream of funding the district relies on was in limbo until late last night when Congress passed a new budget deal. 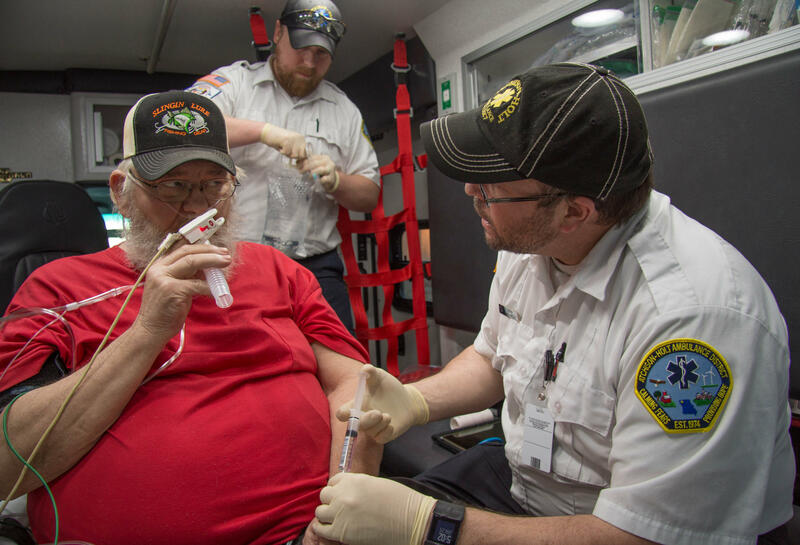 Congress had failed to reauthorize a measure in December that guaranteed an enhanced reimbursement from Medicare for rural ambulance runs. As as result, district chiefs like Bradley were wondering how long they could maintain their standard of emergency care. 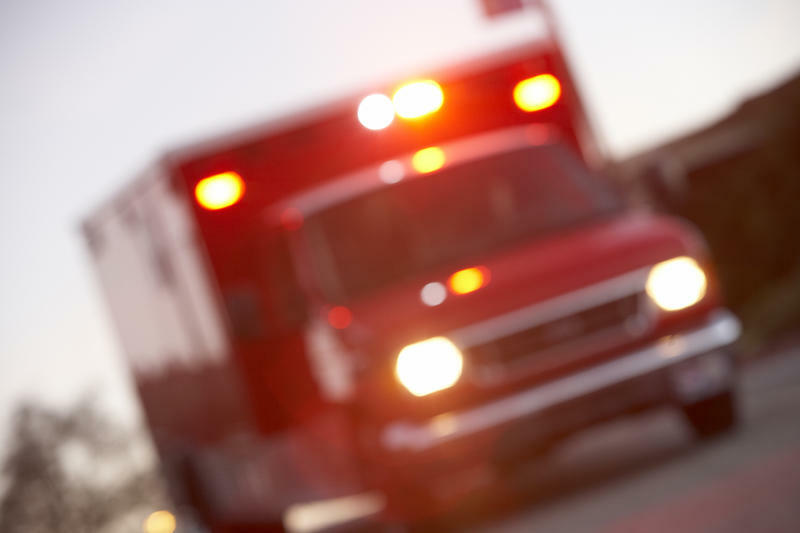 These funds for ambulance districts are among a collection of funding measures known as “Medicare extenders” which include funding for high-needs programs like Medicare-dependent hospitals and rural home healthcare. They’re called “extenders” because they need to be renewed by Congress every few years. They expired last year and were not renewed in the short-term budget deal that passed in December. For the Atchison-Holt Ambulance District, loss of those funds would have been a big chunk of the budget. The district is what’s known as “super-rural,” meaning it’s in the least populous quartile of counties the country. So it gets both the rural ambulance add-on (a 3 percent boost for Medicare patients transported in rural areas) and the super-rural bonus (an additional 23 percent boost). That’s a big deal here considering over 60 percent of the patients transported by the district receive Medicare. Paramedic Rian Wilson, right, and EMT Joe Hays, center, prepare a patient for transport to the hospital. 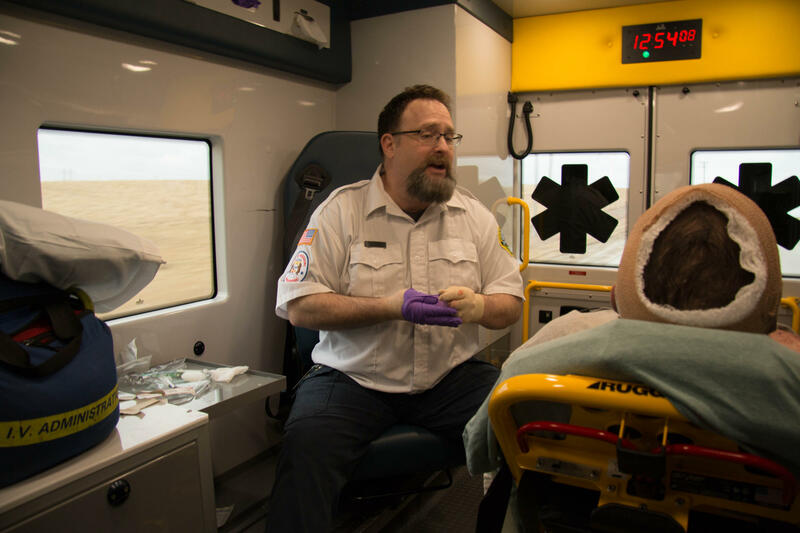 Districts like this might only do a handful of runs a day, which means each run costs more on average, explained Tristan North, vice president of government affairs of the American Ambulance Association. 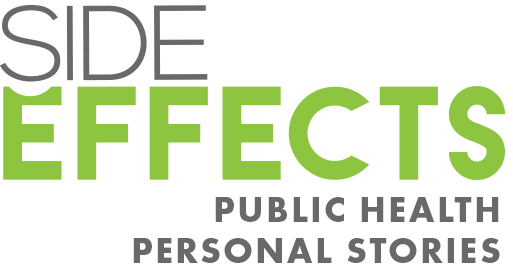 “It is necessary to have the additional higher reimbursement because you're spreading it across very few transports,” he said. Atchison-Holt averages 1,300 calls a year and transports even fewer. Bradley said each call costs the district $1,800 to run if you factor in all the expenses, including downtime for the crew. And there’s a lot of downtime. “The challenge is that it’s really expensive to have the readiness to have a truck and the crew sitting in quarters 24-hours a day,” Bradley said. North pointed out that rural ambulance services operate within tight budgets because Medicare and Medicaid reimbursements are generally below cost, and they eat the cost for uninsured residents too. On a chilly day in late January, Atchison-Holt paramedic Craig Foster hoped his 24-hour shift would be a quiet one. Having a reporter tag along was a good omen. “When we have a ride-along we have less exciting shifts, let’s put it that way,” Foster said. He chooses his words carefully in order to avoid saying “quiet” or “boring,” which, according to EMS superstition, could conjure up a call. Shining your boots on duty is another no-no; you’re just inviting them to get dirty again on a call. Foster’s partner for the day, EMT Keaton Shaw, had another premonition. “If we go out to eat we’re gonna probably get a call,” Shaw said. Paramedic Craig Foster coaxes a smile out of a patient on their way to the hospital. Of course, cooking a meal on duty could get them called out also, so the pair decided to try their luck at a steakhouse for lunch. And sure enough, just as they backed into a space in the parking lot, they get a call on the radio. “In case you’re going to lunch we need you to go to Trails End and standby,” dispatch said. Trails End is a truck stop off of Interstate 29. There in the parking lot they found a truck driver who'd been mugged. His face was bleeding as Foster helped him onto the ambulance to clean him up. “Are you going to let me take you to the hospital? I’m going to say you definitely need to go to the hospital,” Foster said. The man agreed and they drove him to the lone hospital in the district, a small community hospital. Later, though, the man needed to be airlifted to a higher-tiered hospital in Omaha. If the winds had been blowing a little harder, Foster and Shaw would have had to make that 200-mile round trip transport. Long drives are pretty common around here. 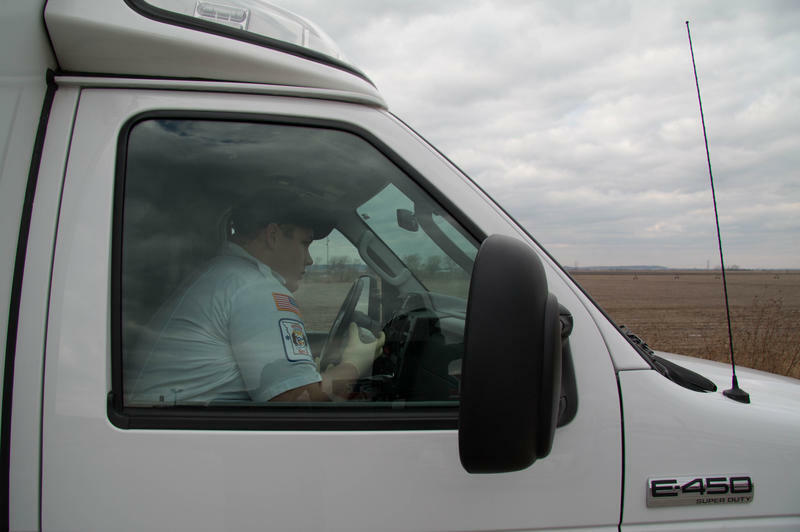 Atchison-Holt ambulance drivers put about 200,000 miles on their trucks annually and buy a new truck each year to keep the fleet updated. Without the added Medicare payments, however, Chief Gene Bradley said new trucks would be off the table. “We’re not planning any major purchases right now, no capital purchases to replace any equipment. No raises for the employees, cutting some of our expenses,” Bradley said. He was watching Congress closely this week and considering worst-case scenarios. “We can sustain for a year or two if the extenders went away and didn’t come back. But after that it becomes a hard question,” Bradley said. 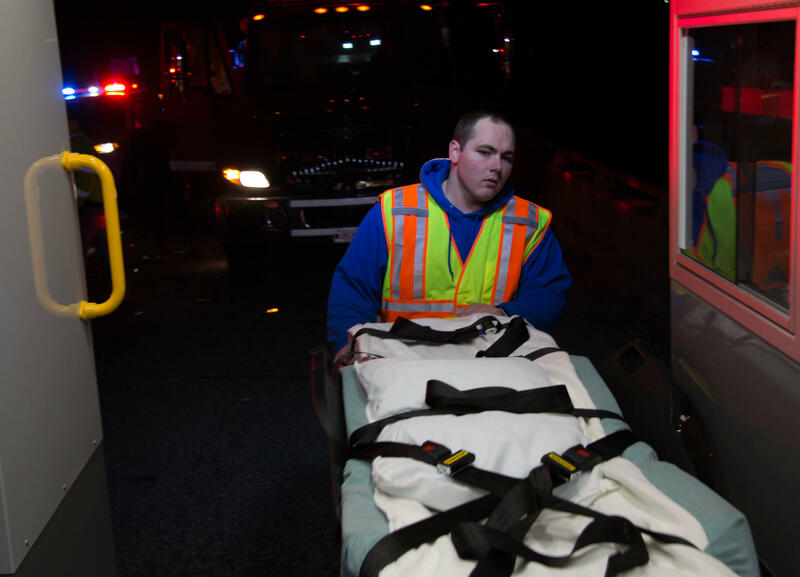 EMT Keaton Shaw returns his stretcher to the back of his ambulance after responding to a car crash on Interstate 29. Since he started here in 1992 he’s seen the district go from five to just two ambulances on duty. He’s determined not to lose another, but that could mean laying off higher skilled paramedics, who cost more than EMTs but have greater medical training to save more lives. Bradley was optimistic, though, that the funding would come sooner or later. And in fact, the budget deal that passed Friday included the ambulance funding, as well as most other Medicare extender policies. As our interview was wrapping up, his radio went off. Two semi-trucks wrecked on the highway. One driver was pinned in his car. In less than a minute Bradley had raced off to the wreck in his SUV, followed closely by the ambulance carrying Craig Foster and Keaton Shaw. Lights flash, a siren wails and an ambulance races to help a person whose heart has stopped beating. In most cases, a 911 dispatcher will have sent an advanced life support, or ALS, ambulance to the scene, equipped with sophisticated gear and staffed with a crew of highly trained paramedics who can deliver specialized care in the field, including intubations and IV interventions. Unfortunately, according to a new study by health policy researchers at Harvard, those advanced techniques actually increase the patient’s risk of death.